The stunning pool at Sagamore Pendry. 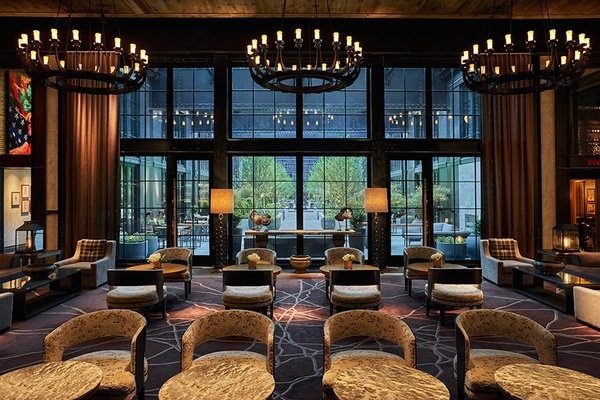 All photos courtesy of Pendry Hotels. Baltimore's newest hotel is modern and sophisticated — a true reflection of the city's growth. Fathom editor (and former Baltimore resident) Berit Baugher checked in for the weekend. BALTIMORE – Revisiting a city you once called home can be, for lack of a better word, kind of trippy. When I learned that a friend's wedding would bring me back to Baltimore, a place I lived for four years during college a decade ago, I was excited by the prospect of spending a few days getting reacquainted with my old stomping grounds. Baltimore's hotel scene has been lacking for as long as I can remember, which never made sense considering the sheer number of students and visiting families. 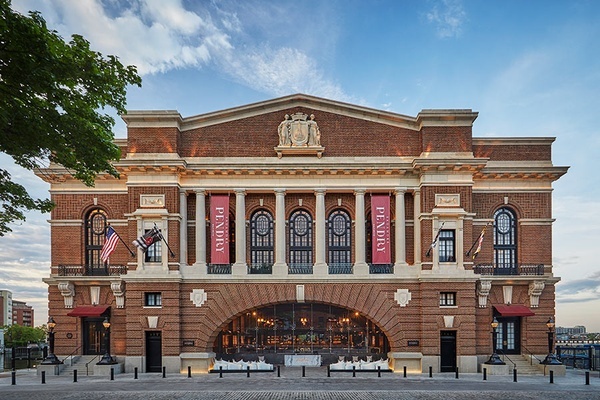 Sagamore Pendry Baltimore, a new hotel built in a former port of entry building on a pier in historic Fells Point, is the cool hotel the city always needed. It's located in one of the most charming neighborhoods — an area I visited often as a student for the lively restaurant and bar scene. Designed by local interior designer Patrick Sutton, the hotel is current but also classic. It's distinctly Baltimorean, but wouldn't feel out of place in any major U.S. city. Reflecting the historical essence of the building was a priority for Sutton, along with making sure the hotel still had a modern sensibility. The Star-Spangled Banner, which was famously written not too far away, is represented in the lobby's central piece of artwork. Along the entrance wall are nods to other famous Baltimore icons: the oriole, the blue crab, Edgar Allan Poe. Structural steel channels are used as design elements throughout to reflect the city's gritty industrial heritage. The rooms are comfortable, spacious, and quite handsome. If you can, book one with a harbor view. I spent a good chunk of a morning watching the light reflect off the water and dance on the ceiling. Perched on the very edge of the pier, the swimming pool is a real beauty. Regrettably, I didn't visit the whiskey bar, but I did have dinner at the hotel restaurant, where it's quite possible I had one of the best steaks of my life. It feels like a real scene on Friday and Saturday evenings, so book your table in advance. Overall, the hotel feels like an accurate reflection of the city, which seems, like me, to have grown up in the last few years. Rates from $359. Make a reservation. Built in a former port of entry, the hotel's exterior dates back to 1914. A room with a view of the Inner Harbor. 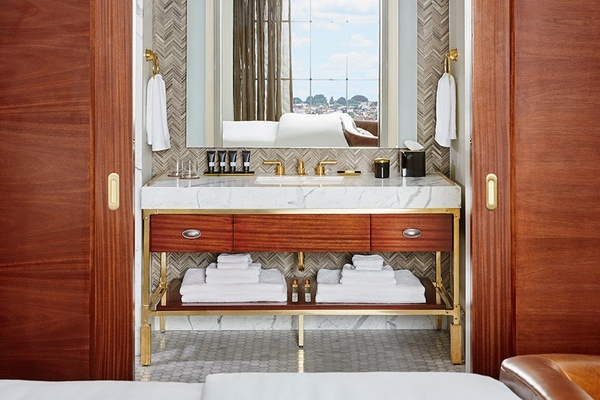 A brass and marble-laden guest bathroom. Atop the iconic Recreation Pier in historic Fells Point, the waterfront hotel is a five-minute drive east of Little Italy and west of Canton. Sophisticated and modern with a nod to the city's rich past and charming harbor setting. Business travelers, couples, and solo travelers looking for a medium-sized contemporary hotel. Children are welcome, but it is best suited for adults and teenagers. Private hotel dock, water taxi stand, infinity pool, landscaped courtyard, concierge, a restored ballroom with 35-foot ceilings, conference rooms, 24-hour fitness room, and an extensive art collection featuring works by Fernando Botero and Chul Hyun Ahn. Seating at Rec Pier Chophouse. The floor at Rec Pier Chophouse was inspired by the patterned-tile at Doges Palace in Venice. New York City chef Andrew Carmellini, who is best known for restaurants like Little Park, Locanda Verde, and The Dutch, oversees the three dining venues. His largest endeavor in the hotel, Rec Pier Chophouse, is a traditional Italian steakhouse with a focus on prime cuts, fresh pasta, and seasonal ingredients. The Cannon Room, an intimate whiskey bar named for the three 18th-century cannons found during the hotel's construction, doles out glasses of bourbon, rye, and whiskey. With Baltimore's great shipping heritage in mind, poolside cocktails, cold-pressed juices, and a menu of smaller bites are served from a structure that resembles an elevated shipping container. 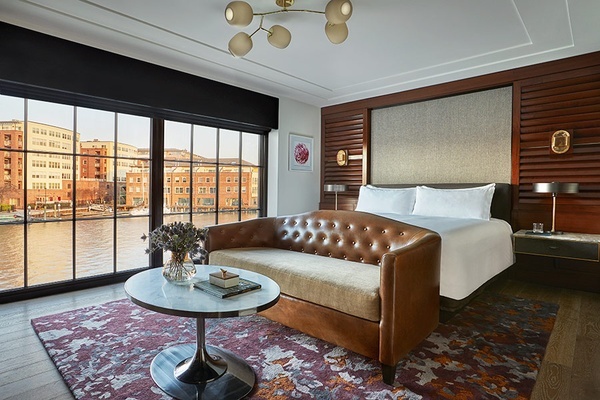 Inspired by the feeling of being in a captain's berth, the 128 rooms and suites have nautical brass details, rich mahogany cabinetry, and throw pillows with designs that resemble classic sailor tattoos. Some rooms have balconies and all have views of either the harbor or open-air courtyard. The WiFi is free and strong; the mini bar is stocked with local provisions from brands like Otterbein's Cookies and Popsations Popcorn Company, along with beer, wine, and a coffee machine; the citrus scented toiletries were specially created by MiN New York. I stayed in room 228 on the second floor near the elevator bank and was able to hear some noise from the lobby and restaurant in the early evening. 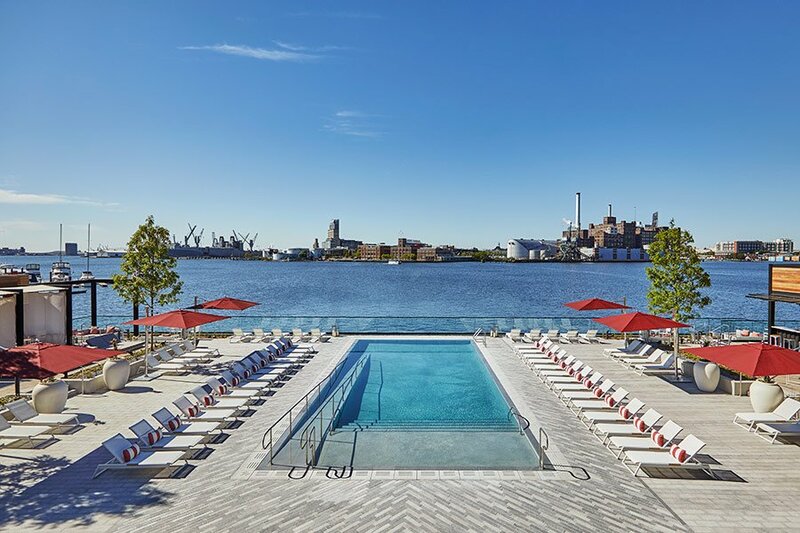 The outdoor swimming pool is a showstopper with its panoramic views of the Inner Harbor, private cabanas, bar and grill. The city skyline from Harbor Point. 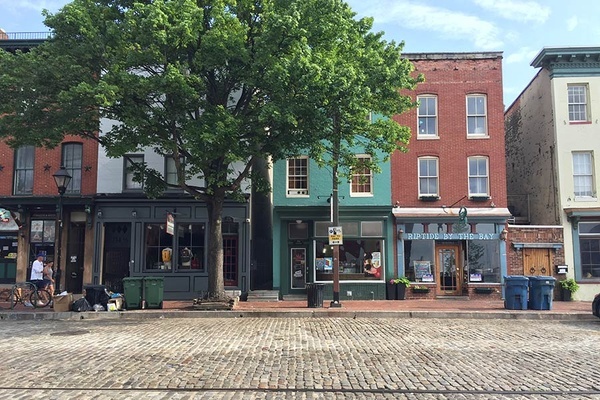 Cobblestone and historic architecture in Fells Point. Sampling the goods at Thames Street Oyster House. 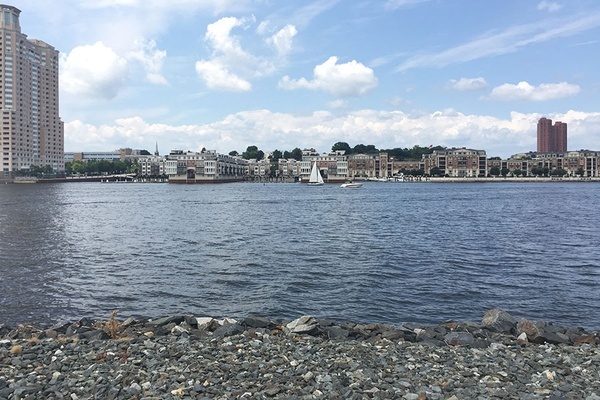 Recognized as one of the best-preserved historic areas in the country, Fell's Point is both charming and lively with cobblestone streets and spirited nightlife. During the weekends and evenings, crowds descend on the neighborhood's many restaurants, shops, and bars — manhy of which feature live music. Start your morning with Counter Culture Coffee and a freshly-baked croissant at Pitango Bakery and Cafe, a smallish spot with outdoor seating. 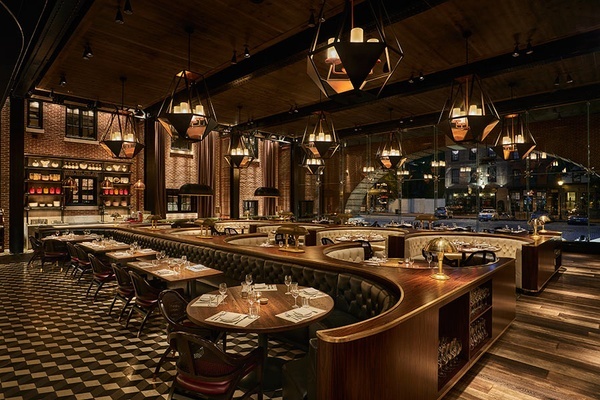 Modern Cookshop is a restaurant, market, and bar with an always-changing menu featuring internationally and season-inspired dishes. They also have a nice selection of small-batch dry goods, including a few from local makers like Huckle's fire-roasted jalapeño hot sauce. 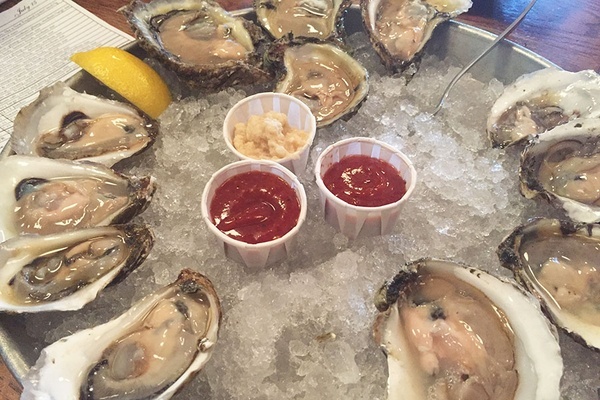 For the best seafood in town, head to Thames Street Oyster House where the raw bar menu has at least ten different kinds of oysters from the coasts and beyond. Worth nothing: The kitchen stops serving lunch at 2:30 p.m., but diners can order oysters at the bar until dinner service begins. 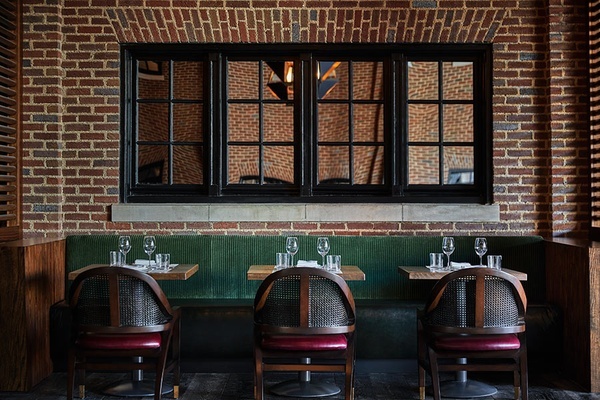 A little farther afield, but well worth the trek, is Woodberry Kitchen, a farm-to-table restaurant in an old factory in the up-and-coming Woodberry neighborhood. Along the hotel you'll spot one of the city's many water taxi stands. The boats make stops at several different points of interest around the harbor, including American Visionary Art Museum — which showcases a range of pieces from intuitive, self-taught artists — and Sagamore Spirit Distillery — which has a new restaurant slated to open this fall. Cherry Blossoms Aren't the Only Thing Blooming in Washington, D.C.